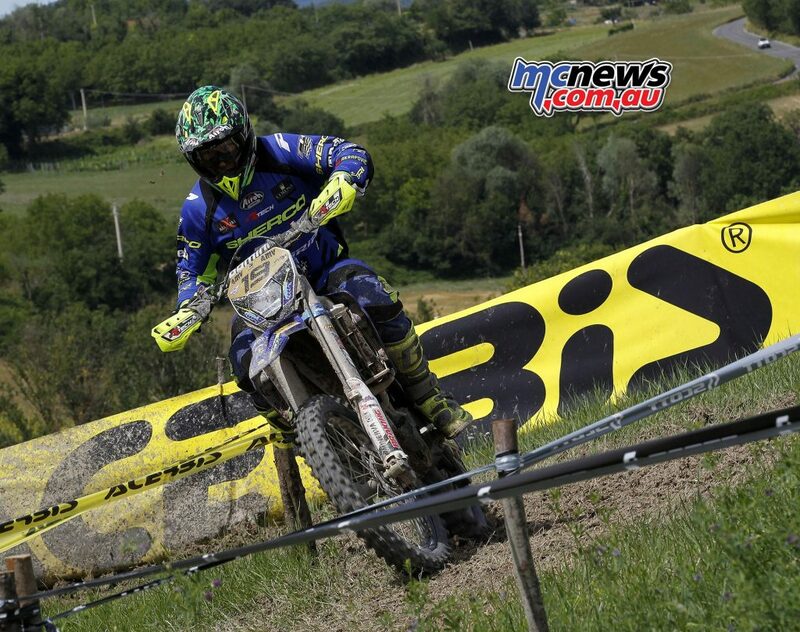 Last weekend was a cracker for Australian riders contesting international events all over the world with the most notable being Tasmanian Matthew Phillips who wrapped up not only the World Enduro 2 Championship class at the GP of France but he also won the inaugural EnduroGP class putting his name in the history books forever. 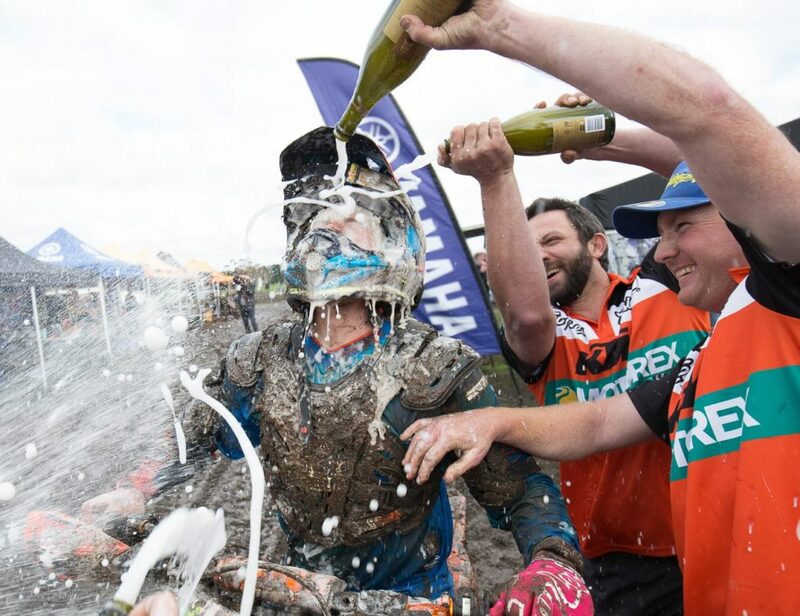 When you read the full report below you may be interested that Sherco, TM and Beta won the three main World Enduro Championships with KTM’s only title coming in the Woman’s class. And how about Jason Doyle? The 30 year old from Newcastle has just won his third Speedway GP of the year at the GP of Germany and now sits just a handful of points behind championship leader and a pure legend of the sport in Greg Hancock with three rounds remaining. 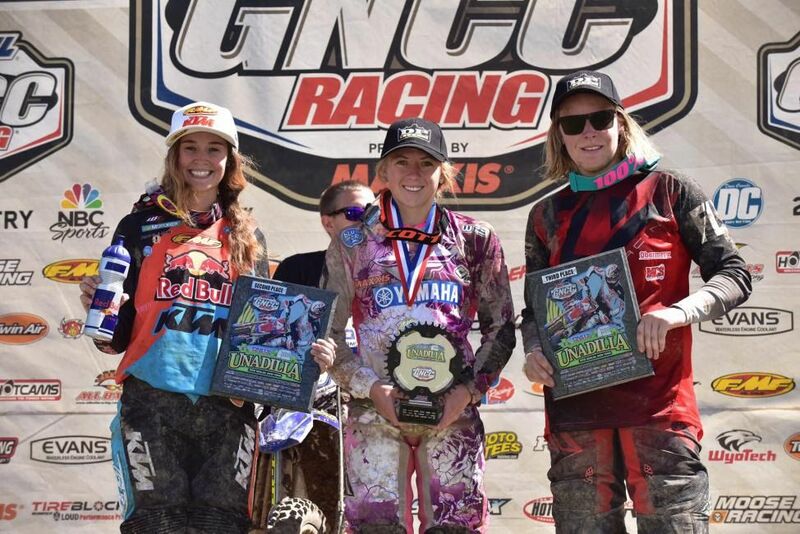 Josh Strang and Mackenzie Tricker were at the famous Unadilla MX facility for the 10th round of the GNCC series where Strang continued his stellar season with a solid second overall behind arch rival and championship leader Kailub Russell while Tricker managed a credible third in the woman’s class. 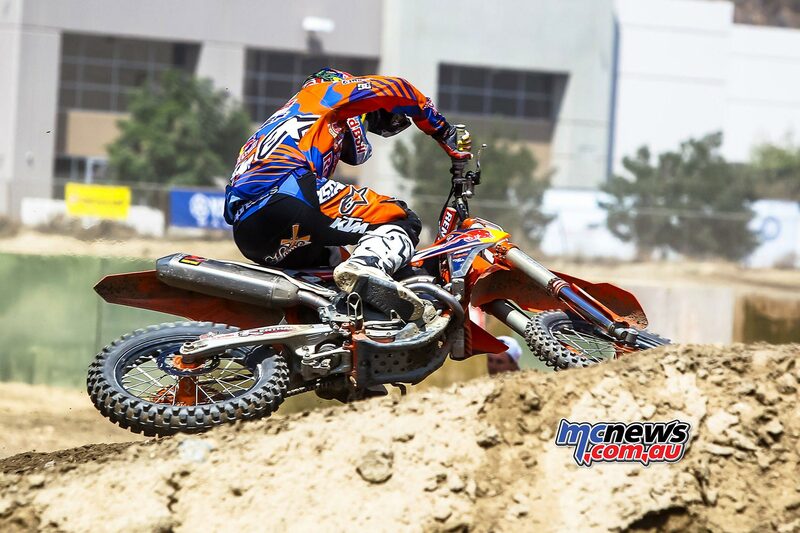 Strang sits just 20 points out of the lead in the series with three rounds remaining. 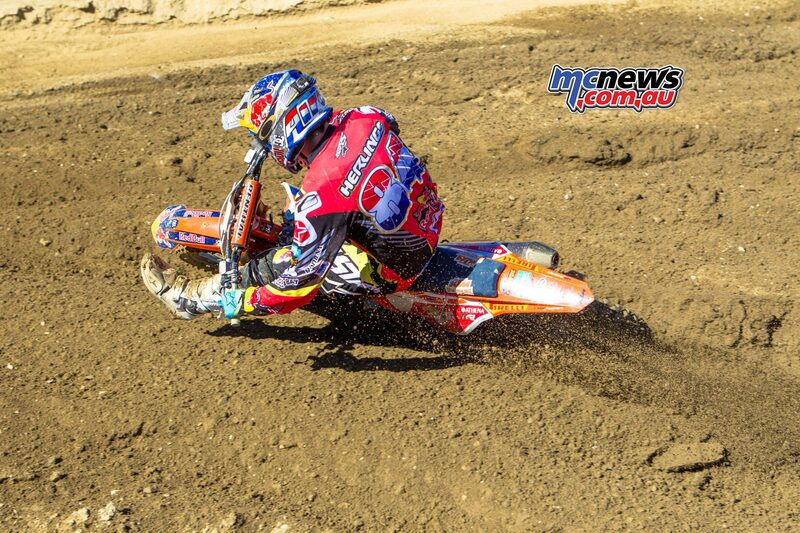 Finally we have young Caleb Ward who flew over to California to contest the final round of the World Motocross Championship at Glen Helen and after a more than credible 15th in the first moto where he passed KTM’s newest factory star Jorge Prado on the final lap, Ward was looking for more of the same in the second moto before another rider crashed into the back of his KTM and got his leg stuck in Caleb’ back wheel causing the Aussie to DNF the race. Still, a great effort and a fantastic learning experience for the young Far North Queenslander. 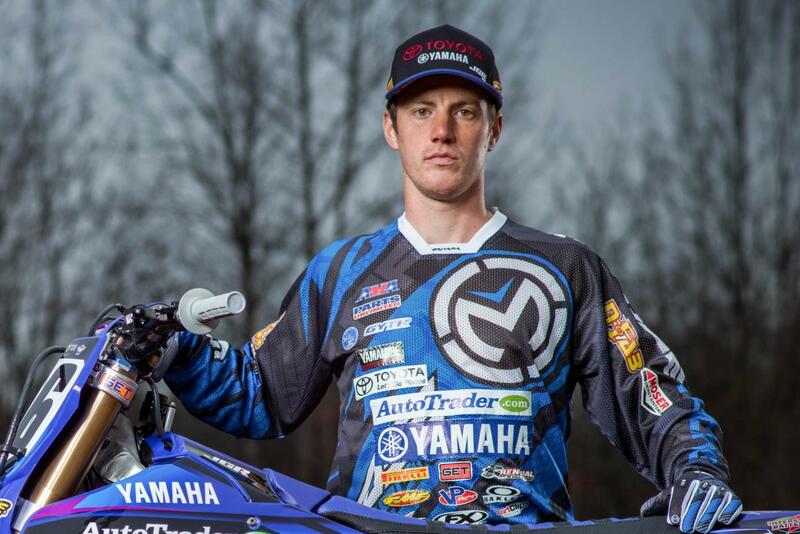 Jimboomba Yamaha dealership Star Yamaha have partnered with Jacob Wright for the opening two rounds of the 2016 Australian Supercross Championship that kicks off this Saturday right across the road from the dealership. Hayden Mellross has signed a deal with the DPH Yamaha team to contest the 450 class in the Australian Supercross Championship which kicks off this Saturday in Jimboomba. American stars Justin Brayton and Jimmy Decotis will spear-head a star-studded Honda line-up for the Australian Supercross Championship which kicks off at Jimboomba this Saturday. 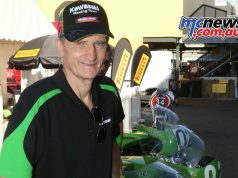 Team Honda Genuine Parts will have Yarrive Konsky as team manager with Brayton and Adam Enticknap signed for the 450cc duties while defending 250cc champion Decotis will be looking for his second Australian title and with the Penrite Honda team signing former 250cc champion Gavin Faith and former junior champion Josh Cachia you will see plenty of red at the front of the 250 class pack. 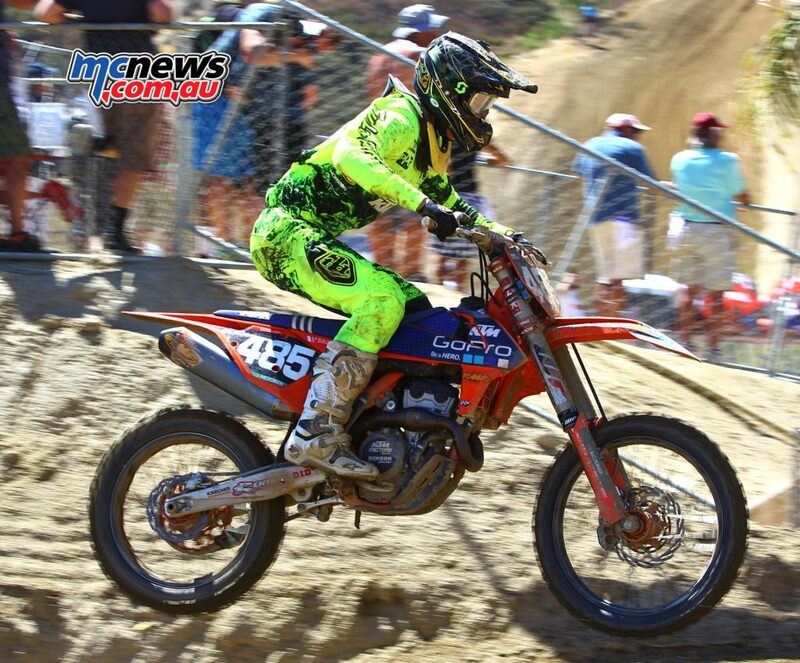 Motologic Honda riders Dylan Long and Jay Wilson will also be on hand in the 450 class while Kye Webster and Joel Whiteman will continue to run their Honda CRF250Rs for the Mark Luksich managed CRF Honda Racing team. Glyn Griffiths, Brand and Racing Manager of Honda Australia is excited about Honda’s chances at the Australian Supercross Championship. “We have the official factory team run by Motologic with Dylan Long and Jay Wilson, our Satellite lites program with Kyle Webster and Joel Whiteman and our Honda Genuine Oils, Parts and Accessories backed program under the management of Yarrive Konsky with Justin Brayton, Jimmy Decotis and Adam Enticknap as well as the Penrite Honda program with Gavin Faith and Josh Cachia. This is a strong line up. 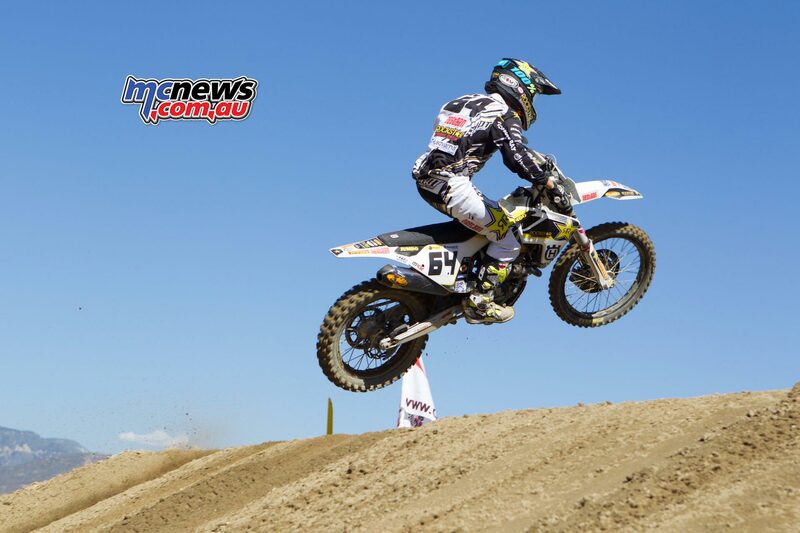 The SX Championship was well received last year we were encouraged to step up our commitment”. 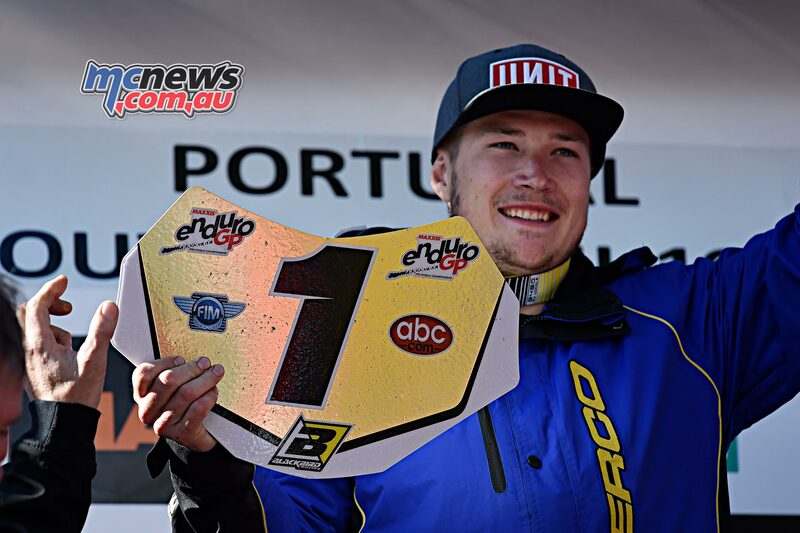 Australian champion Brady Kurtz is set to realise the “biggest dream I’ve had since I was a kid” after being named QBE Insurance Australian FIM Speedway Grand Prix wild card. The 19-year-old dons the famous No.16 race jacket at Melbourne’s Etihad Stadium on October 22 as he continues to make rapid progress in the sport since making his professional debut in 2014. 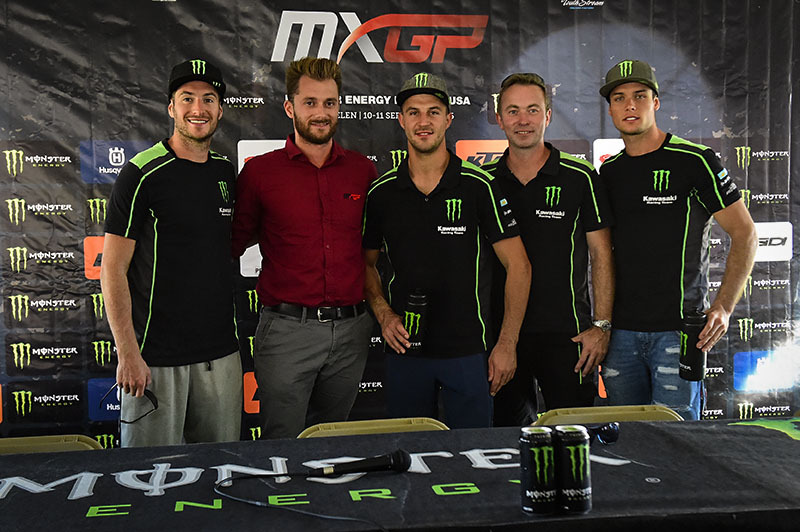 Tommy Searle, Clement Desalle and Jordi Tixier will represent Kawasaki at the SMX Riders’ and Manufacturers’ Cup which will take place on Saturday the 8th of October inside the VELTINS-Arena, Gelsenkirchen, Germany. Seven-time AMA Supercross and Motocross champion Rick Johnson will join the BPRMX team in 2017 and according to the team, Johnson will be doing a number of different things including consulting, working with riders and helping the team expand. BPRMX, which is based out of the Pacific Northwest and also has a race shop in Temecula, CA, is entering their third year as a team in 2017. The team has yet to announce their riders for the 2017 season. “Motocross and supercross are the first loves of my life. I’m so excited to be a part of BPR. They have all the right tools to take a young rider to the top. I can’t wait for 2017,” said Johnson. 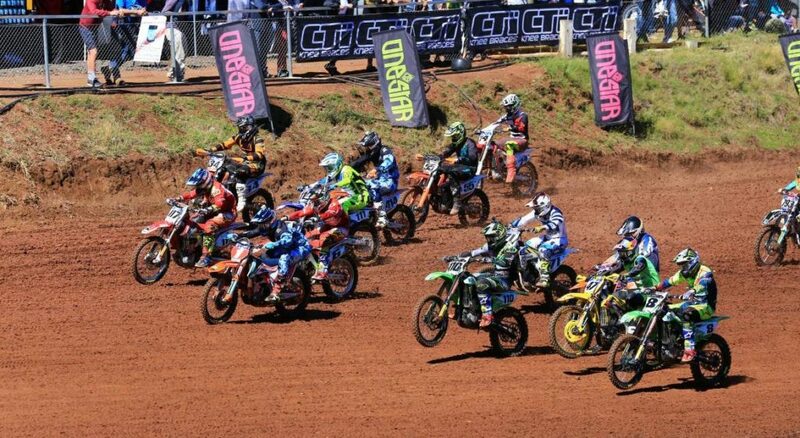 The Toowoomba MX Club hosted the ninth round of the Motul MX Nationals at their iconic Echo Valley circuit on Sunday August the 21st and thanks to a huge effort by the club members they have been named the 2016 Motul MX Nationals Round of the Year. The final round of the World Motocross Championship was hosted by the famous Glen Helen circuit in the heat of California and Eli Tomac recovered from two bad starts to destroy the MX1 field in both races for yet another perfect score and his second consecutive grand prix victory while Jeffrey Herlings had a fairy-tale ending to his MX2 career with two emphatic wins for his first ever grand prix win on US soil and his 61st GP overall. 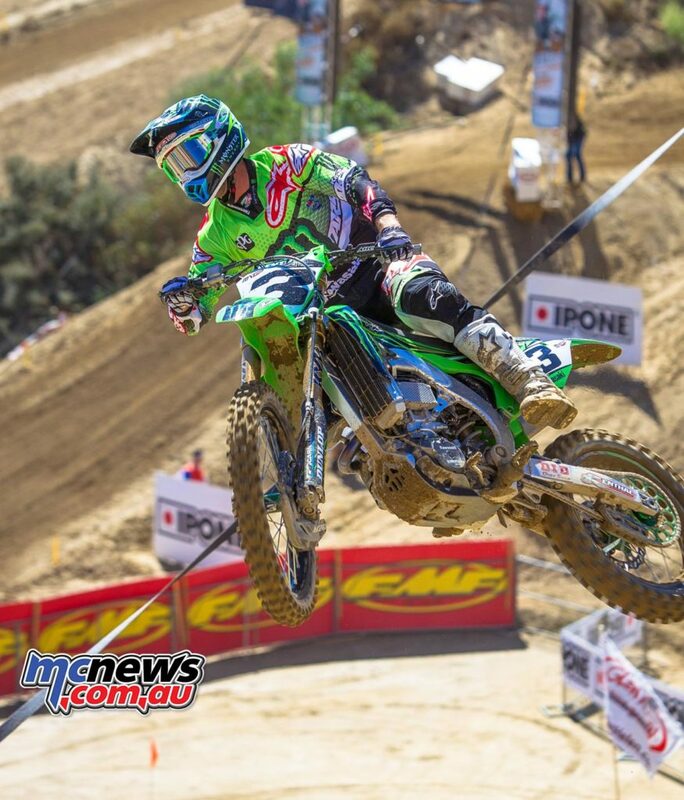 Tomac was seventh at the start of the opening moto before storming home to win by 15 seconds and his second moto start was even worse but the Kawasaki star repeated the dose to win the second moto by 16 seconds. 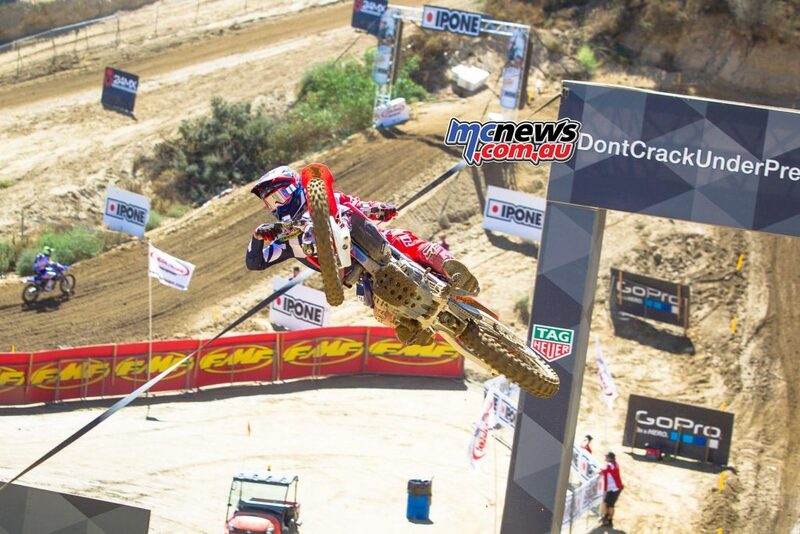 Gautier Paulin (FRA, Honda), +0:54.314. Gautier Paulin (FRA, HON), 27 p.
Glenn Coldenhoff (NED, KTM), 24 p.
Evgeny Bobryshev (RUS, HON), 23 p.
Arnaud Tonus (SUI, KAW), 22 p.
Antonio Cairoli (ITA, KTM), 647 p.
Maximilian Nagl (GER, HUS), 603 p.
Romain Febvre (FRA, YAM), 564 p.
Evgeny Bobryshev (RUS, HON), 545 p.
Jeremy Van Horebeek (BEL, YAM), 536 p.
Glenn Coldenhoff (NED, KTM), 406 p.
Clement Desalle (BEL, KAW), 372 p.
Valentin Guillod (SUI, YAM), 352 p.
Shaun Simpson (GBR, KTM), 343 p.
GEICO Honda’s newest recruit Jeremy Martin was the talk of the town heading in to Glen Helen because first of all the two-time AMA Motocross Champion had changed from Yamaha to Honda and secondly Jeremy had only one week on the CRF250R before attempting his first ever GP but the plucky Yank went 2 – 2 for second overall. Samuele Bernardini (ITA, TM), +1:13.292. 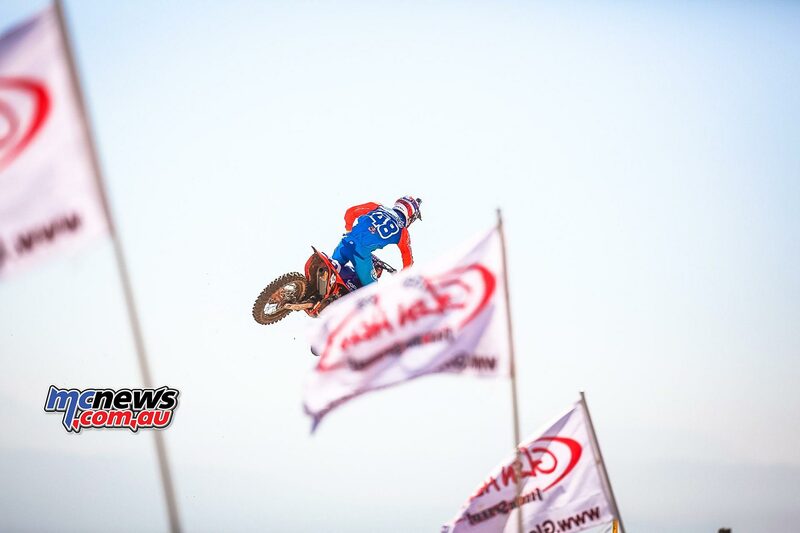 Jeremy Martin (USA, HON), 44 p.
Mitchell Harrison (USA, YAM), 32 p.
Max Anstie (GBR, HUS), 31 p.
Jeremy Seewer (SUI, SUZ), 30 p.
Benoit Paturel (FRA, YAM), 27 p.
Brian Bogers (NED, KTM), 26 p.
Thomas Covington (USA, HUS), 25 p.
Chris Alldredge (USA, KAW), 24 p.
Austin Forkner (USA, KAW), 23 p.
Jeremy Seewer (SUI, SUZ), 625 p.
Benoit Paturel (FRA, YAM), 512 p.
Max Anstie (GBR, HUS), 504 p.
Brian Bogers (NED, KTM), 398 p.
Dylan Ferrandis (FRA, KAW), 378 p.
Samuele Bernardini (ITA, TM), 377 p.
Petar Petrov (BUL, KAW), 351 p.
KTM Enduro Racing Team’s Daniel Sanders has won the 2016 Yamaha Australian Off-Road Championship after dominating the final two rounds of the series held in Penshurst, Victoria last weekend. Sanders has been the class act throughout the series and he rightfully claimed the outright Championship title ahead of arch rivals Tye Simmonds and Chris Hollis while wrapping up the E3 class over Lachlan Stanford and Lyndon Snodgrass. 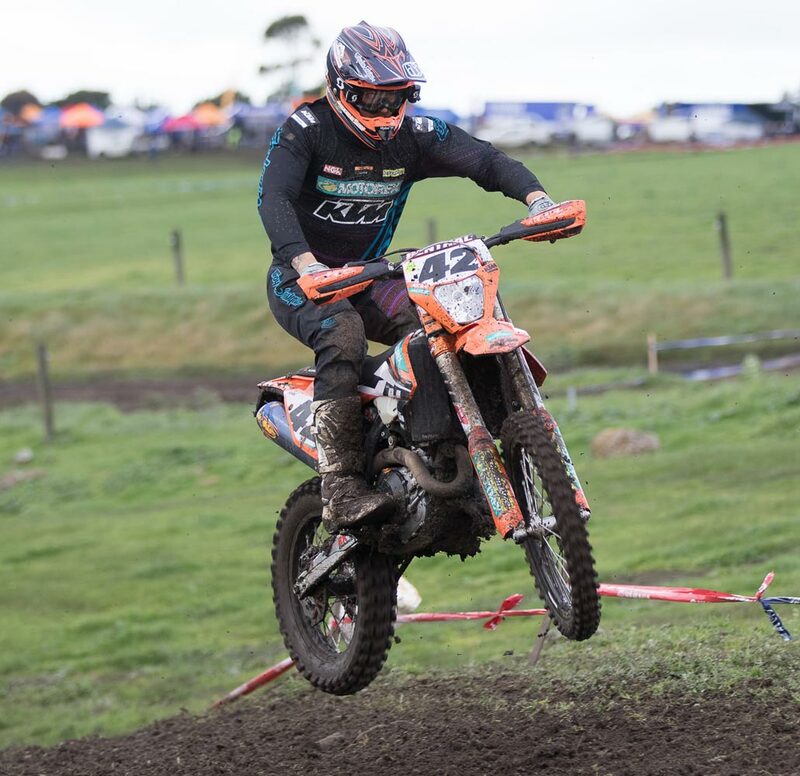 And just to keep it in the family KTM Enduro Racing Team’s Tye Simmonds won the E2 class ahead of the experienced pairing of Chris Hollis and Broc Grabham while KTM mounted Jack Simpson won the E1 class over Glenn Kearney and Riley Graham. Australia’s best off-road riders now have two months to prepare for the 2016 Yamaha Australian Four Day Enduro, which will take place from November 14-19 in Mansfield, Victoria. 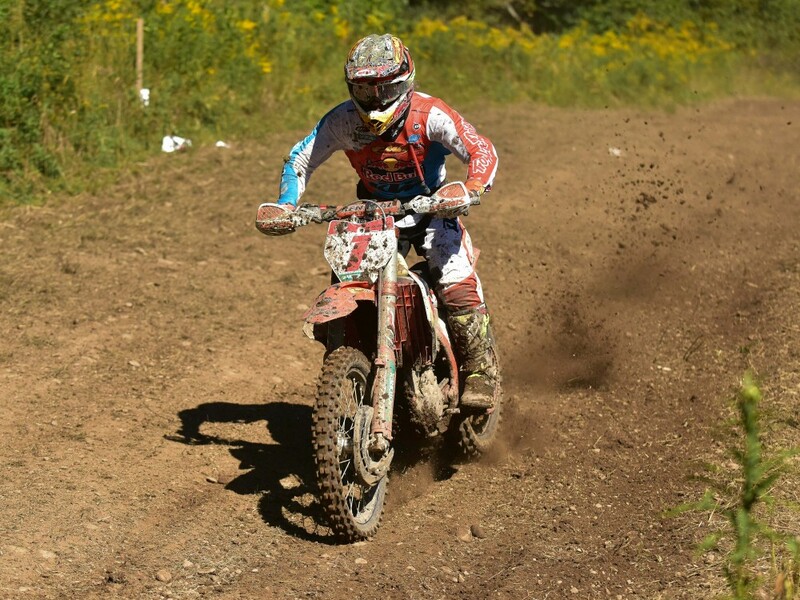 Proving just how fast an 85cc machine can go this year Ashden Gramlick has rode impeccably to clinch down on the Championship J2 title, and today that’s exactly what the young man did with 279 points to his name. Mathew Pye, despite a hard charging year he was unable to deter Gramlick’s consistency however Pye finished second in the championship 58 points down. Sam Noonan who also showed great strength throughout the season finished third in the J2 class championship on 213 points. There have been names thrown around left, right and centre in the J3 class, with a different face winning every week and it has shown in the results. 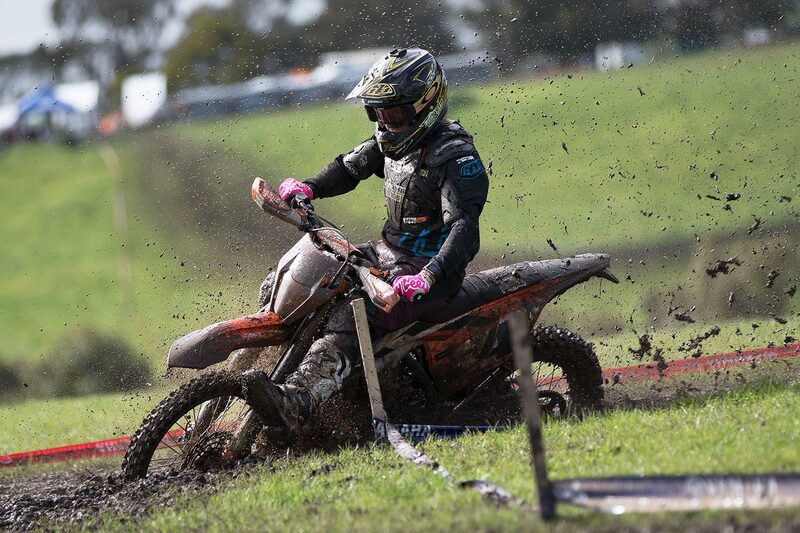 This weekend was crucial for these competitors but it was Corey Hammond who got the better of the conditions and rode to steel the J3 Championship win from second placed Mitchell Brierley by only two points on 244. Jye Bennett who was often winning the rounds unfortunately just couldn’t put it all together this weekend against the tight and technical Penshurst terrain. 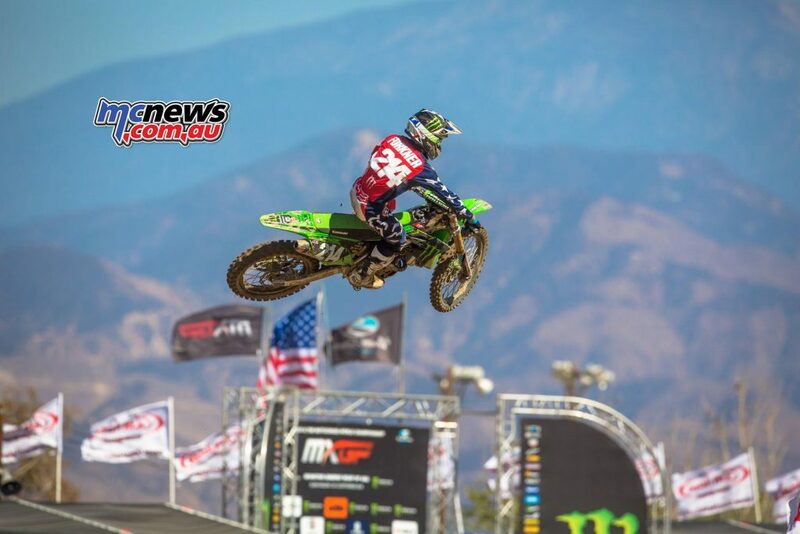 Bennett finished the year off strong in third place in the championship for his class. 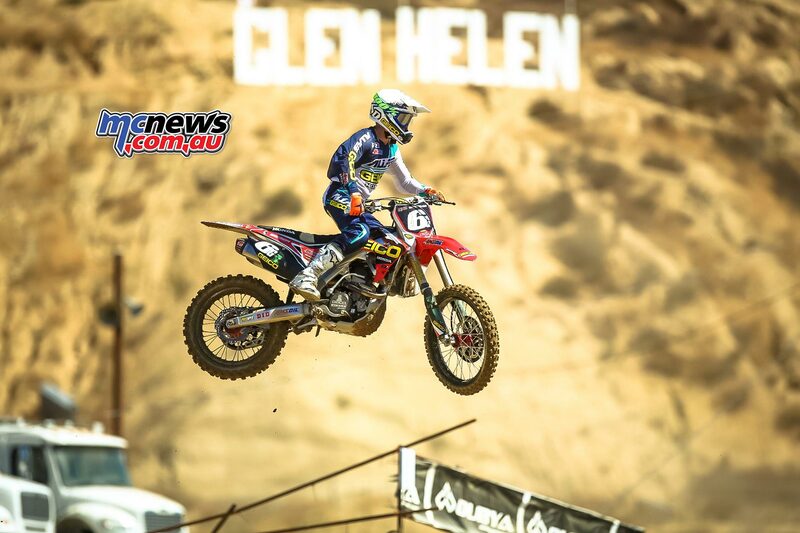 These up and coming riders have already shown their depth of talent to fans and spectators and this weekend they treated them once again to a great spectacle of racing. Zak Mitten finishing on the podium for both days had what it took to claim championship victory, while Will Price wrapped up the season in second. Brother to Zak, Tom Mitten wasn’t far behind the pair in championship point narrowly missing out on second place by five points, finishing the season on a total of 225 Championship points. 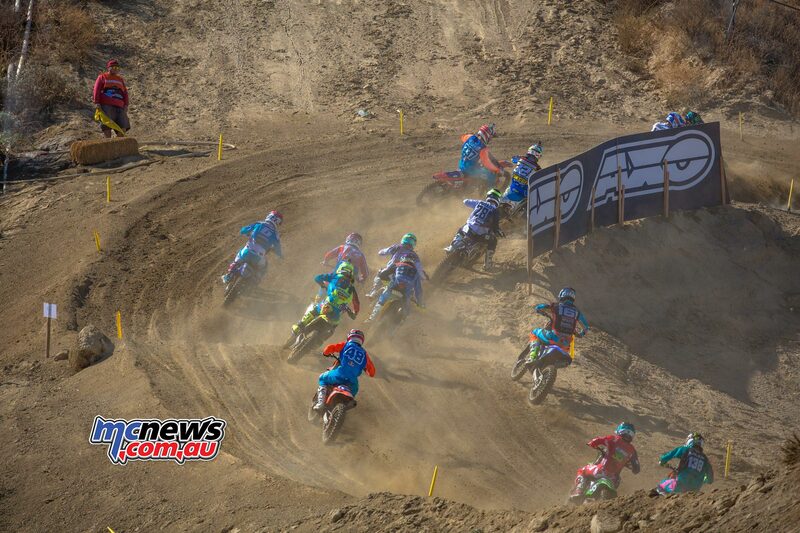 The future of our sport has shown exactly what they can do with a little terrain, a throttle and some determination wrapping up the final two rounds of the 2016 Yamaha Australian Off-Road Championship in the ideal location of Penshurst in Victoria. Kailub Russell has claimed his seventh overall win of the season at the 12th Annual Parts Unlimited Unadilla GNCC at the famous Unadilla MX facility which marked the tenth round of the 42nd Annual AMSOIL Grand National Cross Country (GNCC) Series and in doing so Russell has extended his championship lead over Aussie Josh Strang to 20 points with three rounds remaining. Strang made quick work off the start to earn the holeshot and with Russell buried mid-pack, Strang looked to use his good start to his advantage but Russell made quick work through the pack and once they checked through timing and scoring for the first time the three-time defending champion already had a 43 second gap on Strang who maintained the second place position. As the three-hour race wore on Russell kept extending his lead while Strang and Thad Duvall battled it out wheel-to-wheel. Duvall secured second when Strang took a quick pit stop to take off his hydration pack. Strang didn’t lose much time and kept Duvall in tow. With it being an eight lap race, Duvall and his team members decided to make a pit stop on the last lap allowing Strang, who decided not to pit, by for second. Strang continued to fend off Duvall where a mere three hundredths of a second separated the duo when the crossed the finish line. Steward Baylor Jr. placed just off the podium in fourth, one of his best races this season. Baylor began the day outside the top-10, but worked his way through the pack even as he began to experience brake issues on the last two laps. 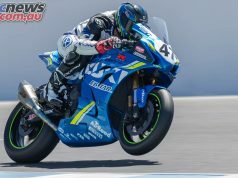 Ryan Sipes rode a consistent race for fifth overall with Grant Baylor overcoming all obstacles to finish sixth overall after starting in thirteenth on the first lap. 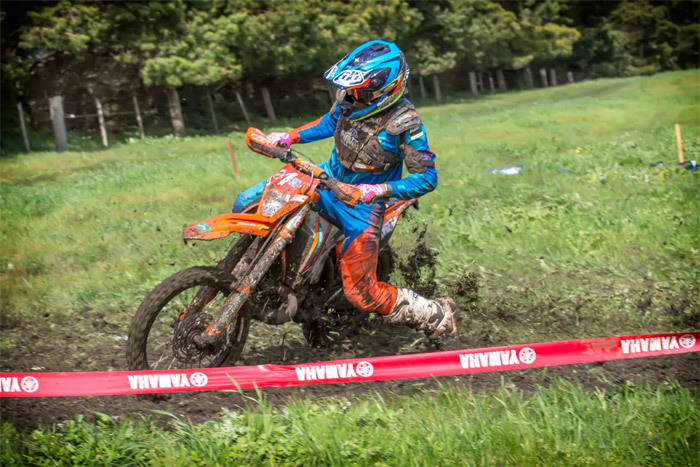 Once the XC2 Pro Lites class got underway it was Layne Michael who found himself with the holeshot until Ben Kelly took the lead position but by the end of the opening lap Josh Toth shoved his way to the front. Toth continued to charge hard when he began to feel pressure from Michael on the last lap, but ended up holding it all together to cross the line victorious. 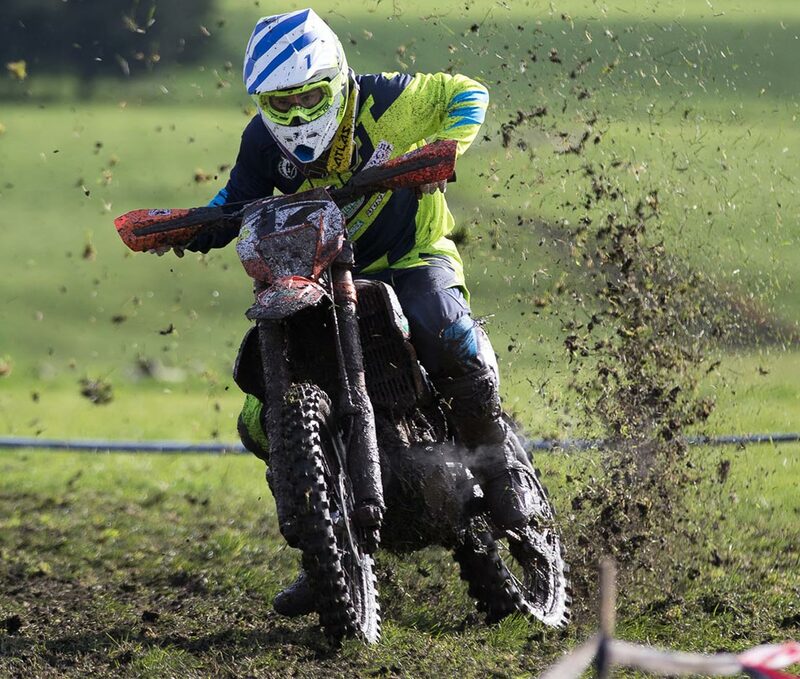 This win marked Toth’s first XC2 Pro Lites win. Michael would see the chequered flag just nine seconds after Toth while Nick Davis held the last podium position. Kelly and Craig Delong rounded out the top five. Becca Sheets took home the WXC class win over Kacy Martinez while Aussie Mackenzie Tricker claimed third place in the WXC division. 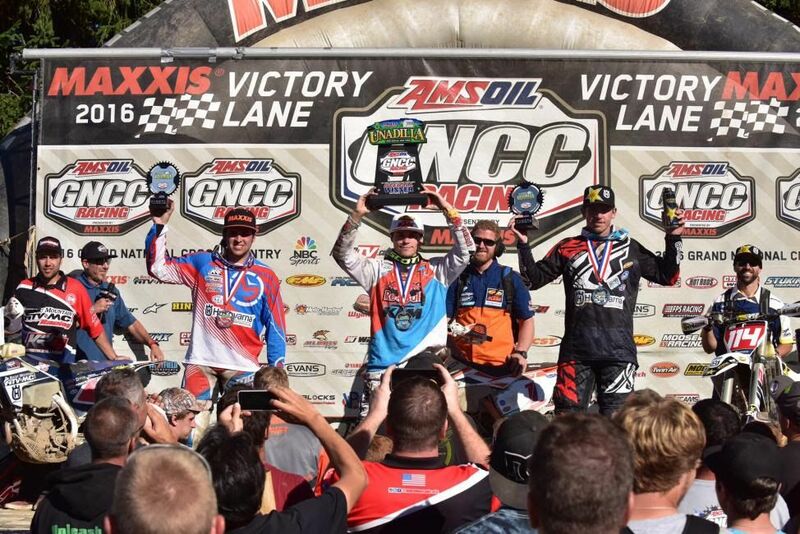 The 2016 AMSOIL Grand National Cross Country Series travels to Masontown, West Virginia in two weeks for the Rocky Mountain ATV/MC Mountaineer Run GNCC on September 24 and 25. 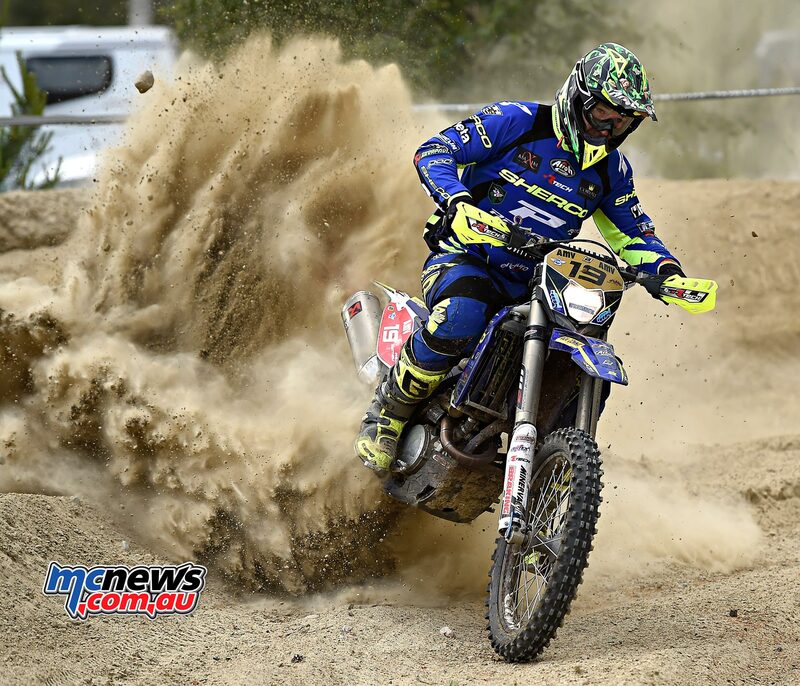 The 2016 EnduroGP championship drew to a close in spectacular style last weekend in Cahors where Tasmanian Matt Phillips (Sherco) put the finishing touches to his incredible season and secured both the EnduroGP Championship and Enduro 2 World Championship at the AMV GP of France. After two days of racing in blisteringly hot temperatures and extremely dry and dusty conditions, Phillips rode conservatively to wrap up both championships while Finn Eero Remes (TM) kept his cool to claim a second consecutive Enduro 1 World Championship, Steve Holcombe (Beta) won the Enduro 3 World Championship and Laia Sanz (KTM) claimed the Woman’s title. 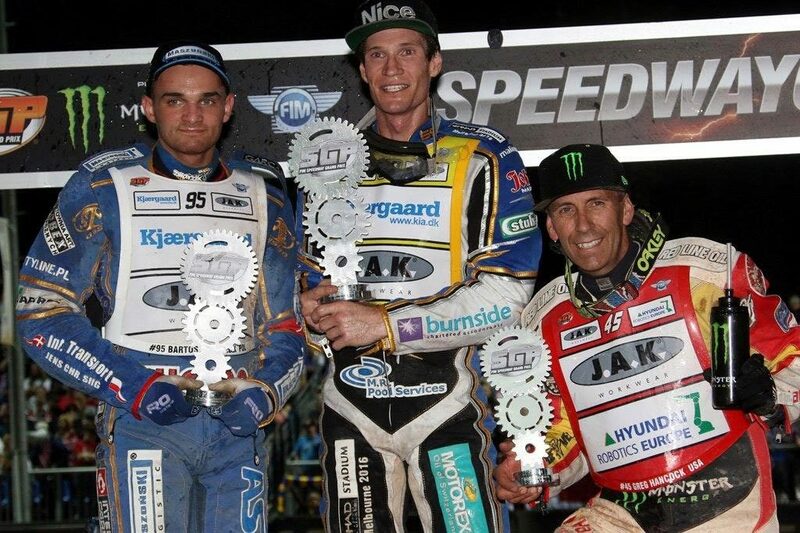 Australian hard-charger Jason Doyle has stormed to a sensational win claiming 17 championship points at the Speedway Grand Prix of Germany held in Teterow last Saturday night. 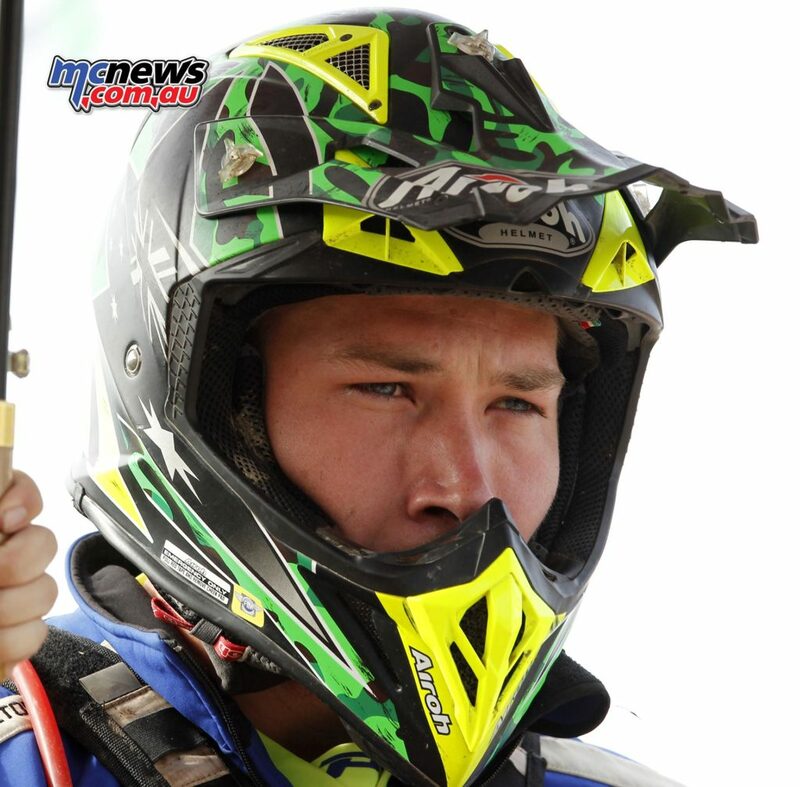 The Newcastle-born racer won the historic 200th SGP event – his third SGP round win of the season and his second in a row. Doyle did it the hard way after passing Polish rider Bartosz Zmarzlik to triumph in the final over Zmarzlik and World Championship leader Greg Hancock. Doyle has cut Hancock’s advantage from seven points to five after the German round. Next up for Doyle and his rivals is the Stockholm SGP on September 24, followed by the FST Grupa Brokerska Torun SGP of Poland on October 1, before the season finale – the QBE Insurance Australian SGP at Melbourne’s Etihad Stadium on October 22. 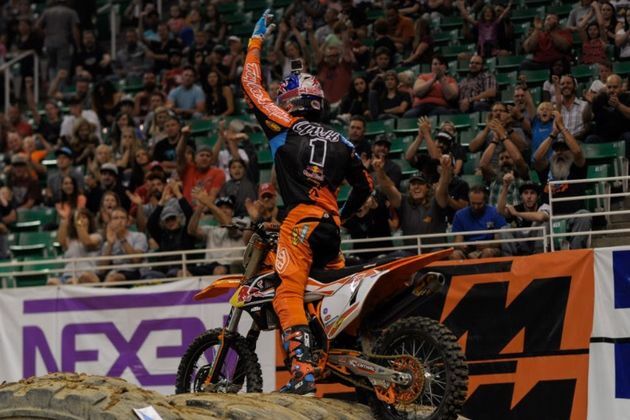 Cody Webb took his first win of the 2016 AMA EnduroCross Championship at round three inside the Vivint Smart Home Arena in Salt Lake City. 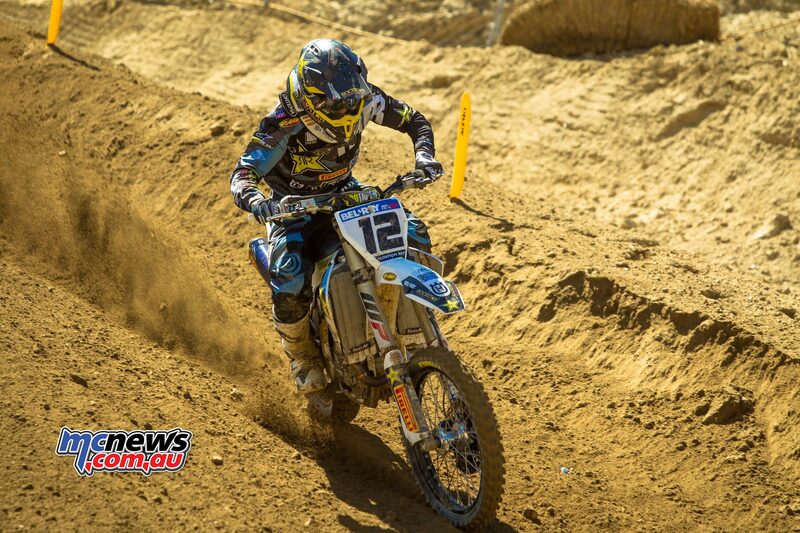 The FMF KTM rider took the lead from Husqvarna’s Colton Haaker on the second lap and held a fairly comfortable gap throughout the fifteen lap main. Haaker, the winner of the two previous rounds held on for second while Mike Brown passed Geoff Aaron late in the race to take the final podium spot. 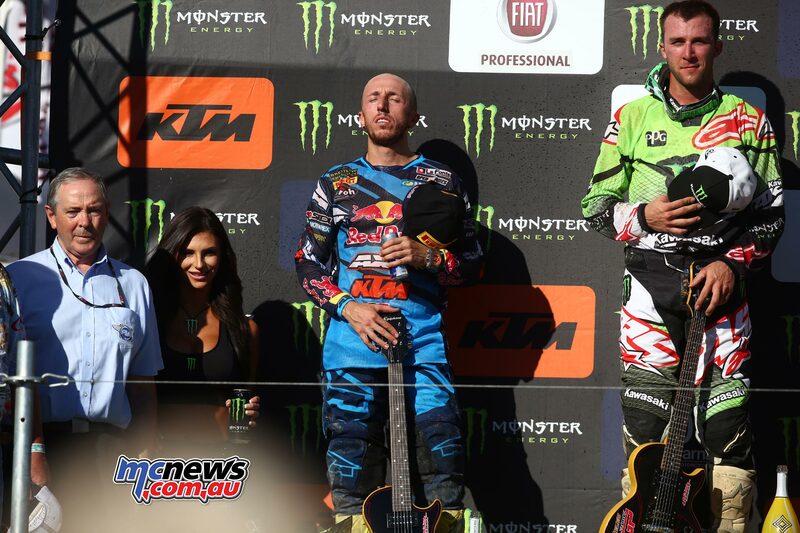 Haaker took the holeshot award to start the main event and looked likely to run off with his third win in a row. 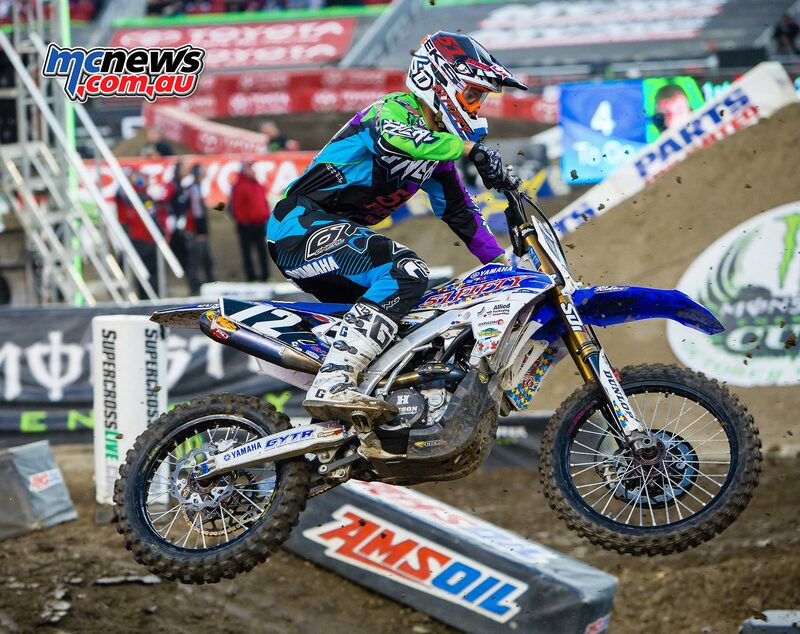 But Webb stuck close and took advantage of a small mistake to take the lead on lap two. The two top dogs of EnduroCross had a back and forth battle as Haaker closed a few times only to make a mistake and even hit the deck in a slick corner once to allow Webb to gain the gap needed to take the win. GasGas backed Aaron kept the two leaders in sight for several laps and looked likely to take the final podium spot until Brown closed in on him late in the race. 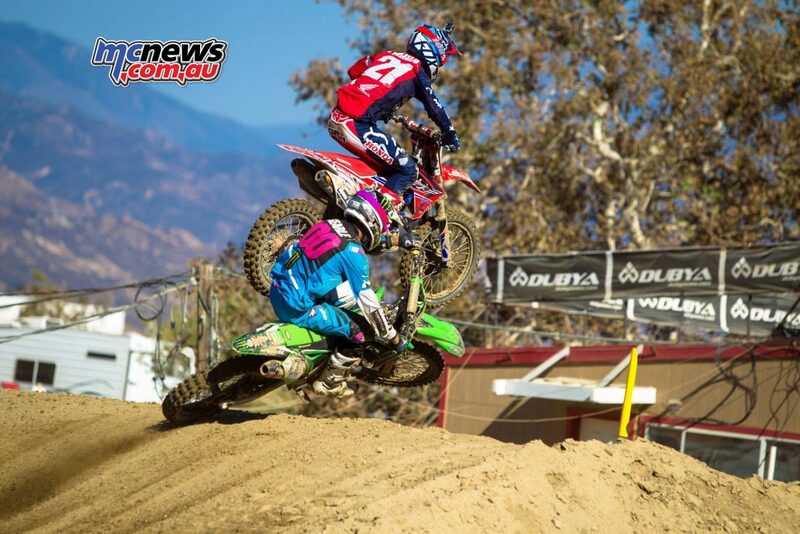 The two riders battled for a few laps before Brown took the spot for good on lap 12. Aaron held on for forth. 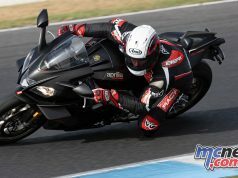 “I was sick during the off season so I did not get to ride until the week before Atlanta so I am gaining endurance and looking forward to a week off to keep improving,” said Brown. For Aaron, it was amazing he even qualified for the main event. “I had a bad heat race and then derailed my chain in the LCQ and got it back on and was able to work my up to take the last qualifying spot and last pick for the main. 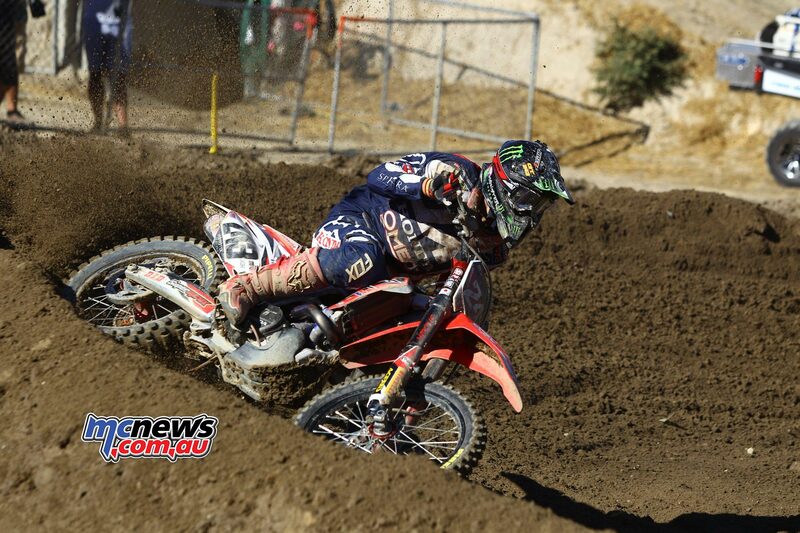 So it was great to come out with a good start and ride with the leaders for the early part of the race,” Aaron said. 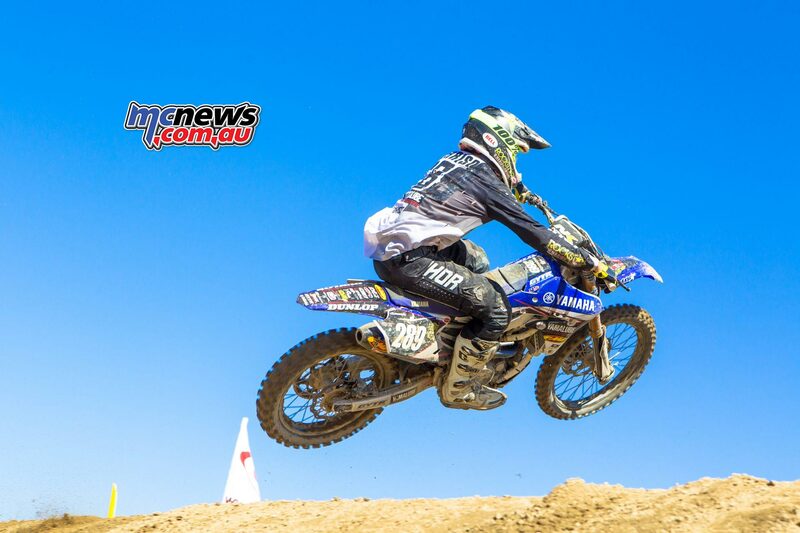 Ty Tremaine had another good ride for fifth ahead of Kyle Redmond, Trystan Hart, Max Gerston, Eric Rhoten and Kevin Rookstool rounding out the top ten on his Suzuki. Taddy Blazusiak was involved in a strange crash that took him out of the main on the first obstacle due to his handlebars jabbing him in the groin and getting lodged into his riding pants. He was not seriously injured but was forced out of the race. Haaker now holds a one point lead over Webb in the championship with 74 points. Brown currently holds third Tremain and Gerston round out the top five. 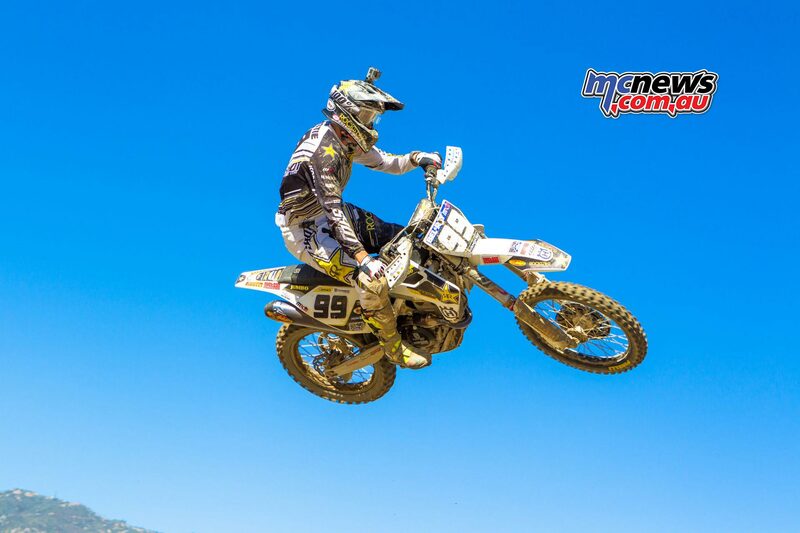 Phil Nicoletti has taken out the main event at the 3rd annual Soaring Eagle’s Edge of Summer MX at Mt. 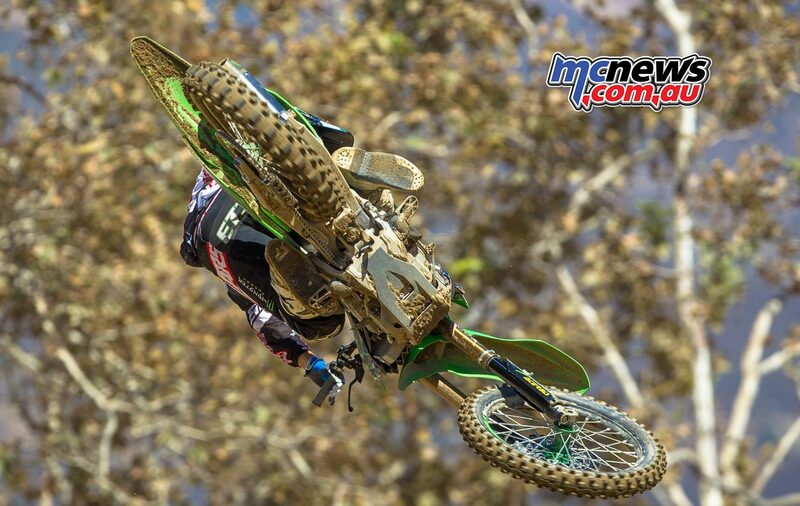 Pleasant, Michigan while Jake Weimer managed to hold on to second place ahead of the fast finishing duo of Kyle Cunningham and Darryn Durham.